Heyman once again reiterated that Cena is in for the "beating of a lifetime" at SummerSlam on Sunday. We can only assume that Lesnar has very sensitive vocal chords or a very small vocabulary. Heyman certainly suffers from no such problem. Roman Reigns then faced the world's most boring tag team Rybaxel, as per the orders of corporate Kane. Rybaxel were disqualified. Reigns picked up the win and then proceeded to go through his usual routine against both members of Rybaxel. 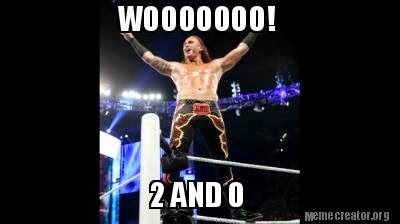 Superman Punch, Spear etc...You know it by now! 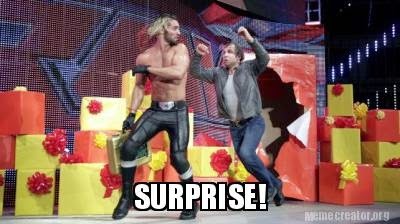 Mr. Money In The Bank Seth Rollins took on Mr. Monday Night Rob Van Dam. Rollins predictably picked up the victory with a vicious Kerb-Stomp. In an ever so slightly ridiculous angle, Stephanie McMahon revealed that Daniel Bryan has been having an "Affair" with his Physical Therapist. CRINGE. Then, following on from the ridiculous Daniel Bryan/Brie Bella/Physical Therapist love triangle, Brie Bella got herself arrested for the 'assault' earlier in the evening. For the record - We'd also add a charge of 'Crimes against acting' to the Brie Bella charge-sheet. After all that nonsense, it was time for the WWE superstars to gather at the top of the ramp to celebrate the 61st Birthday of The Hulkster. Who was joined in the ring by some very special guests. We were kind of hoping that Hulk Hogan was going to receive an 'F5' as a Birthday present from Brock, but no such luck. 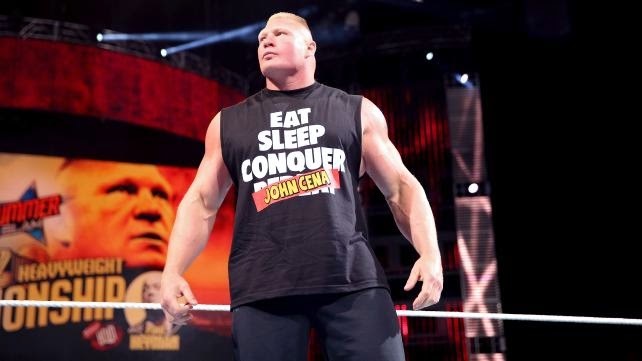 FINAL THOUGHT: If you think Brock Lesnar really is the "Beast Incarnate", then think about this - Cena called him out TWICE in the space of an hour, but the "Beast" politely declined. Just something to consider.